Mergers and acquisition are transactions in which the ownership of companies, other business organization or their operating units are either transferred or combined as an aspect of strategic management. Mergers and acquisition allow enterprises to grow, shrink, change the nature of their businesses or improve their competitive position. 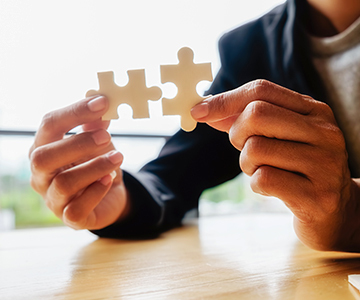 Mergers and acquisitions can also be perceived as a term that means the combining of companies or assets for a more efficient and effective unit. There are at least two companies that are involved in this consolidation for it to actually happen. There is a known confusion about this as “mergers and acquisitions” are more often used synonymously. However, these two mean various things, although they both are dealing with corporate law mergers and acquisitions. Conglomerate mergers have two types, pure and mixed conglomerate. The former is composed of two firms that do not have anything in common. The latter is composed of two companies that are searching for extending their market, products or services. This is a kind of merger that involves companies that offer the same goods and services. They are often competitors. It is believed that firms that merge together in the same industry tend to have a greater market share. This type of merger has two companies that offer the same products but they cater to different markets. The purpose of merging them together is to have a larger client base. Two firms that have related products and in the same market are joined together in this type of merger. When these two companies merge together, they can have the opportunity to deal with a larger client base for higher gain and profits. Vertical Merger deals with two companies that produce the goods or services for certain a finished product. They are in different levels of the supply chain in their industry, but they are merged for the purpose of having more cooperation that can be brought in by those two companies to the table, ensuring that their operations are more effective than before. The acquisition has two terms to take note of and to understand it more: buyer and target company. The former is the one that takes over the latter, making itself the new owner. This is called an acquisition, the buyer absorbing the other firm. The target company stops existing and its stocks are also stopped in being traded. On the other hand, the stocks of the buyer continue to be traded. On other terms, acquisition can also mean a company purchasing another, like a big firm taking in a small one. Unlike mergers, there is no new company that comes out of the acquisition. The target company or the one that is acquired by the other stops existing and its assets join the ones that the buying company already has. To establish the difference between mergers and acquisition, a new company emerges from the merging of two companies with equal shares while in an acquisition, a buying company completely consumes the other company. There are legal things that must be dealt with when it comes to either mergers and acquisition. 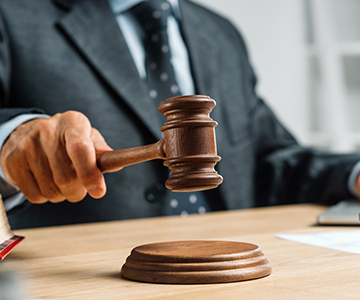 Merger lawyer or business acquisition lawyer in UAE is available to take care of the legal matters that should be handled. HHS Lawyers & Legal Consultants is one of the top mergers and acquisitions law firms in the UAE. We have the insight and experience to advise corporate and private equity investors through each stage of mergers and acquisition process. We help clients develop appropriate growth strategies based on their goals so they will be prepared to capitalize on opportunities during merger, acquisition or divestiture process. 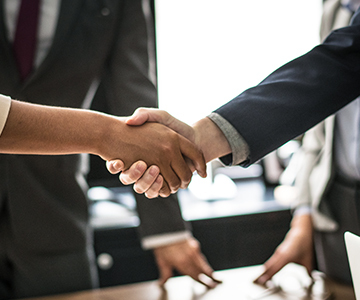 Our team of business attorneys can guide you in finding and evaluating the value of acquisition and merger candidates, drafting the contract, searching for options of financing and assessing and attempting to correct dysfunctional reactions after the deal. As being one of the top mergers and acquisitions firms in Dubai, we are able to streamline the complex processes into relaxed ones so that you can pay complete focus on developing your core business. We can ensure that we meet your expectations and more as we are one of the best mergers and acquisitions firms in the country. HHS Lawyers & Legal Consultants is one of the top mergers and acquisitions law firms in the UAE. We have the insight and experience to advise corporate and private equity investors through each stage of mergers and acquisition process. We help clients develop appropriate growth strategies based on their goals so they will be prepared to capitalize on opportunities during merger, acquisition or divestiture process. 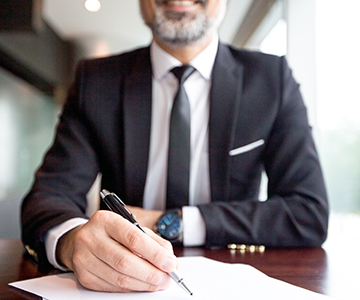 Our team of business attorneys can guide you in finding and evaluating the value of acquisition and merger candidates, drafting the contract, searching for options of financing and assessing and attempting to correct dysfunctional reactions after the deal.